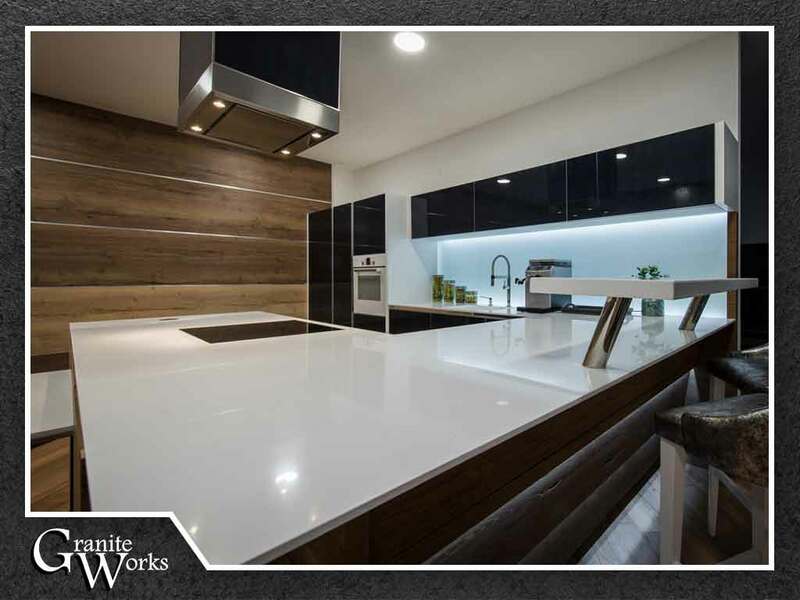 This option is perfect for modern kitchens with clean lines and suits thin and thick granite slabs. Although it may not seem so, a countertop with straight edges isn’t exactly sharp. The corners are slightly softened to prevent injury. The straight edge is synonymous with the square edge, except the latter isn’t rounded. A square-edge countertop can be a hazard, especially if you have children, and are more likely to chip. Granite Works can attest that this profile is popular because it helps granite maintain its structural integrity. Eased edges allow the countertop to boast a square-looking appearance while reducing the chances of breakage. The use of bevels in countertop design makes the corners flat on a 45-degree angle, laying emphasis on elegance and safety. The angle and width of beveled edges are customizable. This option is called this because it gives the countertop quarter-round edges, which resemble the diameter of a pencil. Although this profile generally involves the top side of the slab only, it can be applied to the bottom side as well. The bullnose edge features a complete curve from top to bottom. It can create an optical illusion, making a slab appear thinner and more elegant. The ogee edge adds more interest to granite countertops. The subtlety and depth of this profile’s curves and grooves are entirely up to you. These ornate details demand greater upkeep, but the extra maintenance they require is worth the visual character they produce. Turn to Granite Works to choose the best edge profile for your granite countertop. Call us at (301) 712-9486 now to schedule your free design appointment in Maryland or Washington, DC.